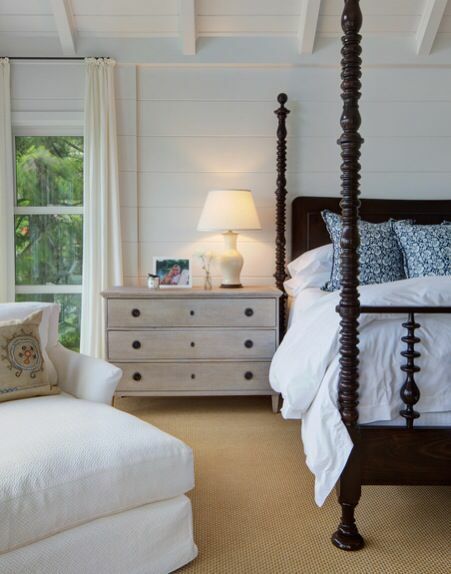 Canopy beds are an integral part of the Hamptons style. The Hamptons look has its origins in the Plantation styles of the Caribbean. Practicality comes into play here as all the beds had to be covered with netting to keep out the pesky mosquitos. Hence the proliferation of these beautiful beds in our modern day Hamptons homes. Generally canopy beds for me will always evoke this Colonial look as the whole point of the style was to be able to hang netting from them or to offer privacy to prevent servants from seeing the beds of kings and queens. I have covered this in more detail in my post on British Colonial Style. This canopy bed is beautifully simple, left unadorned, it offers a contemporary look but with a nod to the exotic past of the Colonial styles. The leather suitcase and artefacts add to the look and ensure that the canopy bed doesn’t look out of place. A simply adorned canopy bed with rattan accessories gives an unmistakeable Plantation style bedroom. 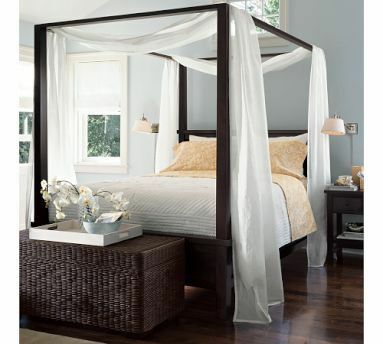 The classic Coastal Style also lends itself well to the trends for canopy beds. 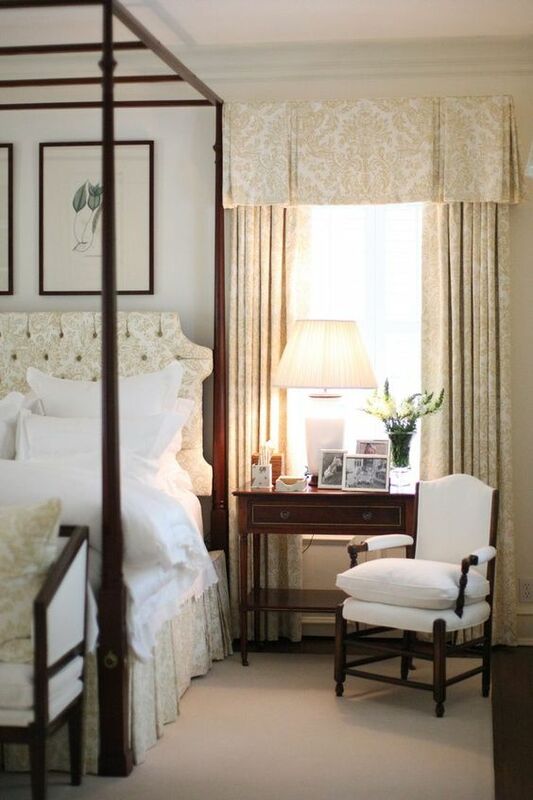 A crossover here with the Hamptons look, the light and breezy feel of the colour scheme and the overall style suits the flowing sheers from the bed. Incorporating some soft sheers into the bed gives you more of a traditional look and softens the scheme to make it a very feminine one. 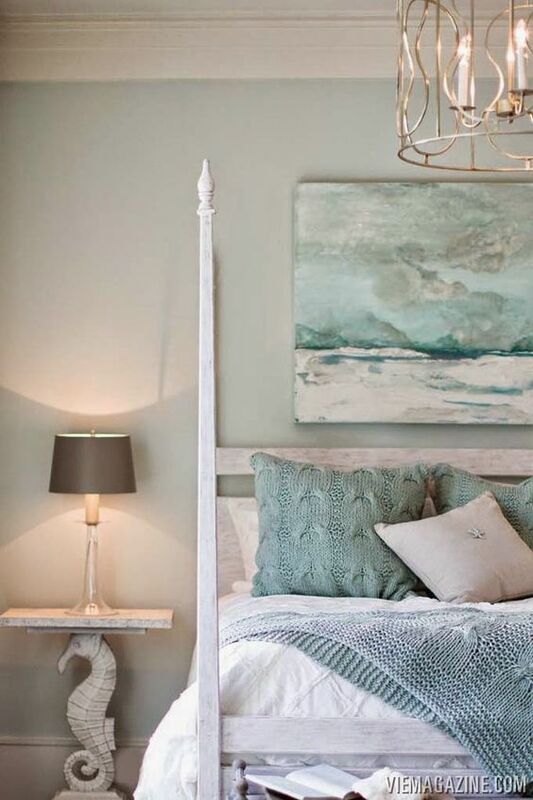 Canopy beds that are white washed suit the Coastal look perfectly and when partnered with soft duck egg blue gives you a dreamy romantic style bedroom. A classic timber canopy bed is often referred to as a four poster bed. Often in a darker timber, this style of canopy bed gives you a very traditional look. It is in fact timeless and I believe still is a beautiful and current decorating style. 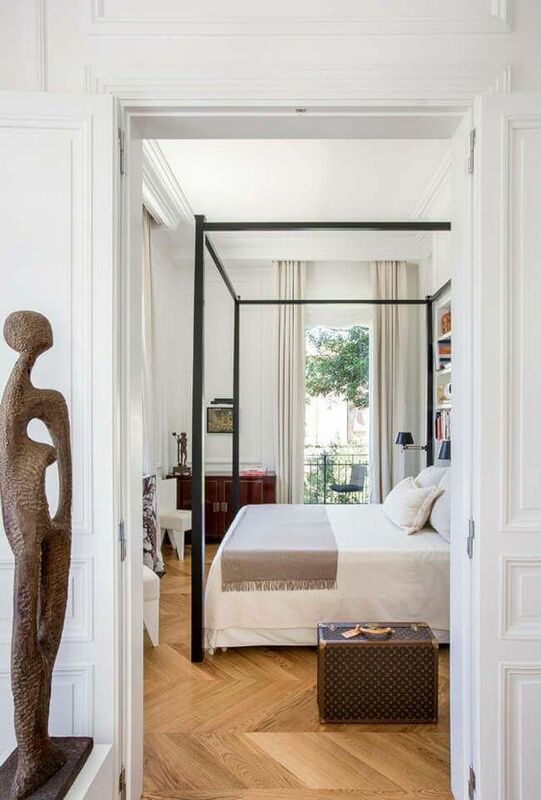 A similar look but with a metal frame and decorated with soft fabrics also gives a timeless, classic look. Remember too that as part of the look you need to consider the style of bedhead as this can make the canopy frame more or less traditional. A buttoned upholstered bedhead will look more traditional than a simple plain upholstered one. Introducing timber or rattan also gives you a different look and one that fits more into the Hamptons and Plantation look. 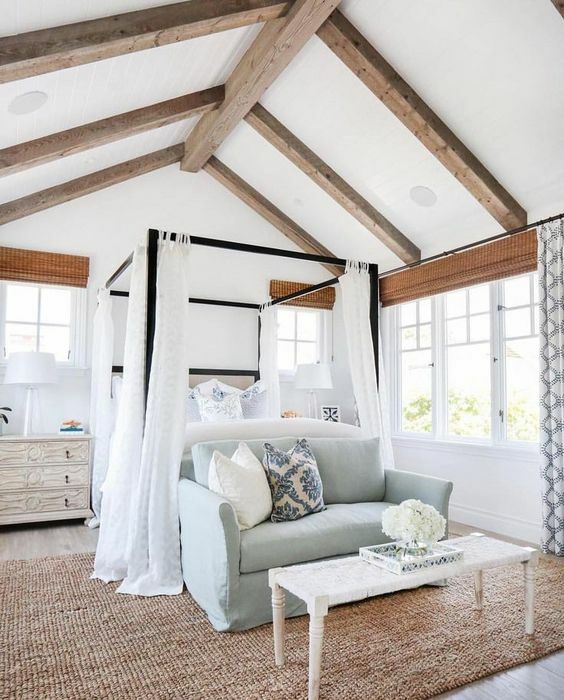 Not all canopy beds will have a full frame and these work well for a slightly less over-whelming statement and for rooms with lower or cathedral style ceilings where the bedroom wall height is low. 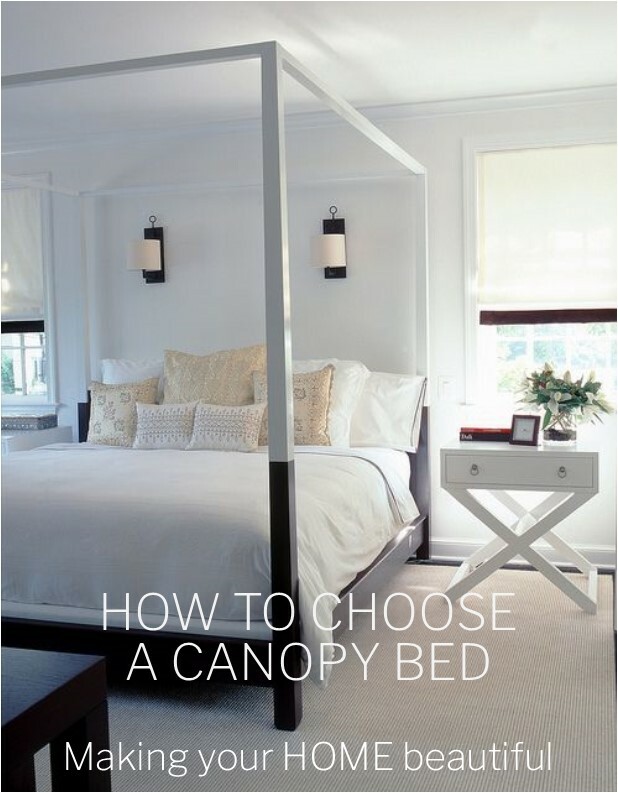 For continuity, partner your chosen canopy bed with the right furniture to ensure that it doesn’t look out of place. It doesn’t have to match, but for example, if you have chosen a Hamptons style frame, keep this theme going. There is no doubt that a canopy bed will make a statement in your bedroom. Do you like this look? If so you can see lots more inspiration on my Pinterest Bedroom page. Let me know below if you have a canopy bed and how you have incorporated it into your space.